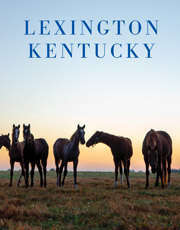 An Equestrian Boutique located in the heart of Horse Country on the rolling 1,100 acre Taylor Made Farm. The Taylor Made Shop carries a wide variety of equestrian jewelry, official California Chrome merchandise, and home goods from local artisans! This shop is also serves as a pro-shop for newly renovated 18-hole golf course - Thoroughbred Golf Club. Under the same roof, you'll also find Daddy Joe's Bar & Grill.